Sam Knob sits at the edge of the Shining Rock Wilderness. 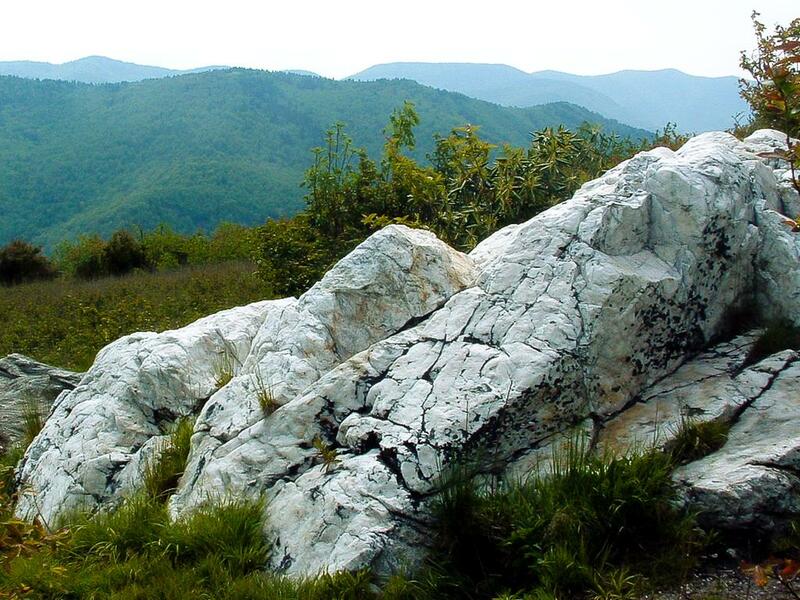 This outcrop of white quartz along the Sam Knob trail is the same type of rock as contained in Shining Rock itself, several miles away and one ridge over. Shining rock is so large that from a distance it appears to shine - almost like a patch of snow.